It’s been a while since I updated this, so here is a recap since the last time I posted. 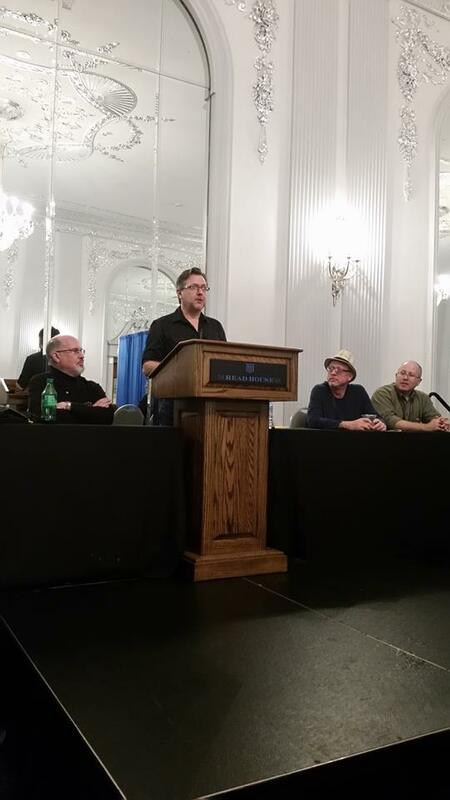 After Southern Festival of books, I attended a few more conventions before wrapping up 2018. The Full Moon and Horror Fest turned out to be a snoozer. It was split into two locations, and they were not close to one another. Attendance was lite as were the sales. Hallowcon was its typical good time. Joe McKeel knows how to throw a party. The Nashville Comic Con was fun, although attendance was lite as well. Still, the networking was great at all three. Then with 2019 starting up, I got to put on my big boy pants and play the part of Master of Ceremonies at Chattacon 44. And by play the part, I mean speaking at the Opening Ceremonies. I wonder if anyone told them I’m terrified of public speaking? Apparently not. Still, a good time was had by all, and luckily, I didn’t goofy up on anyone’s name. 2019 Has a lot in store. More conventions, more books, and all that. Let’s see how this goes. I have a busy few months coming up. If you attend any of the conventions, come say hi. October 26th – 28th Hallocon – Dalton, Ga.
January 25th – 27th Chattacon – Chattanooga, Tn. Updates or I’m sooooo behind on things. It’s been a while since I’ve updated the blog, so I thought I’d post some updates for my works in progress. A lot has been going on, so I’m behind on some projects. Voodoo Rumors book 4: Wild Pooch. This chapter in the series finds Dietrich and Natalie working to figure out who is killing young women in Nashville’s south side. They know it’s a werewolf, but which one? The book is about halfway completed. Voodoo Rumors books 1, 2, and 3: audio books. 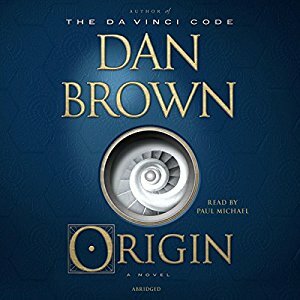 Contracts have been signed on the first three books to record them for Audible.com. Murdoch Pennington is the reader. 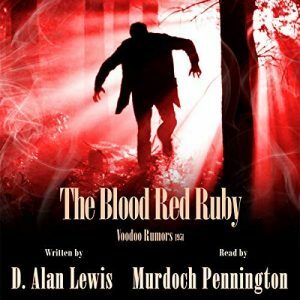 I’ve already listened to the first part of The Blood Red Ruby and it sounds great! I think you’ll love it. Keely: My first self-published work was the novella Keely. It has also been one of my best sellers. But with every first attempt at something, a few errors crept in during the process. A re-edited version is in the works, along with a new cover. 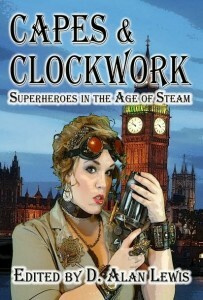 Look for it in time for the Dr. Who/Steampunk Convention in Clarksville, TN in late September. The Adventures of Anastasia Hawk. 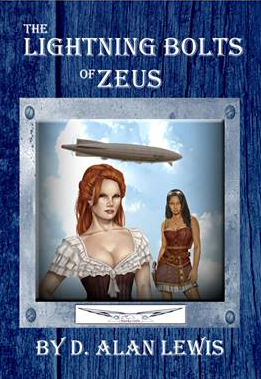 I’d written a short steampunk story a few years ago, based on the mother of the Hawk girls from my novel, The Lightning Bolts of Zeus. 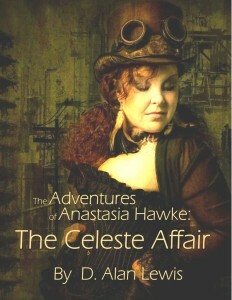 The Celeste Affair has been a good seller and I’ve had a number of folks asking to see more of Anastasia’s adventures. Therefore, I’m working on a short story collect, due out by end of the year. 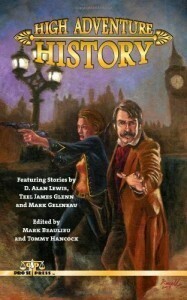 Upcoming releases from Pro-Se Productions: These anthologies should be out soon and each has one of my short stories. High Adventure History 2: My story is A Life for a Life. It is a tale of the infamous fem fatal, Mata Hari and her big adventure to deal with an out of control German General. 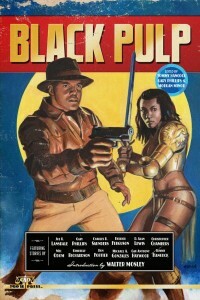 Black Pulp 2: My story, A Wolf in the PussyCat Casino is another Black Wolf story. Stay tuned for more information about the upcoming works. 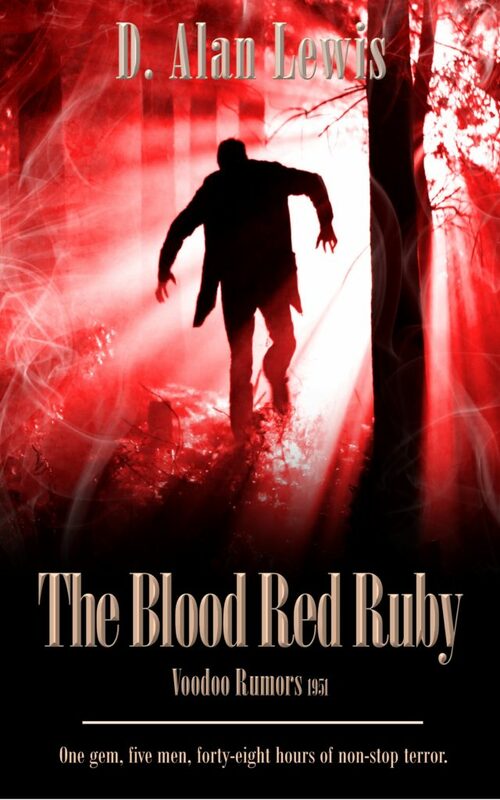 The official release of The Blood Red Ruby, the first in the Voodoo Rumors series is just two weeks away. One gem, five men, forty-eight hours of sheer terror. 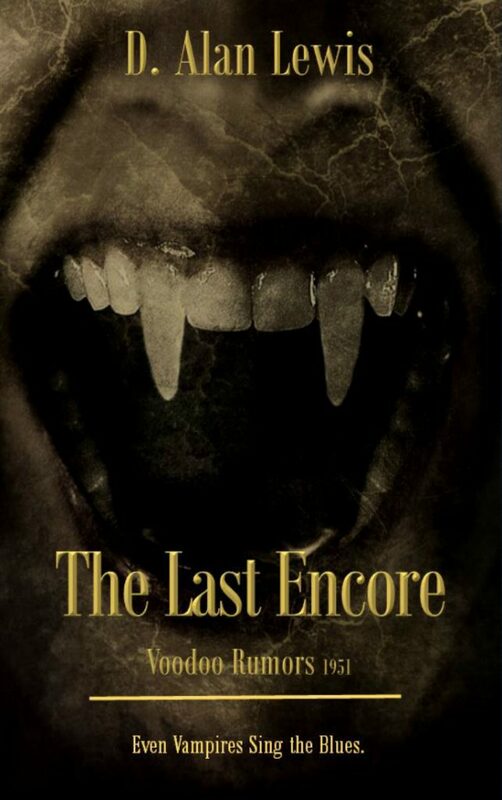 Book two, The Last Encore will be released in March and then a new book in the series, every other month for the rest of 2018. If the series is successful, then I’ll continue writing more for 2019. The series mixes the hardboiled P.I. 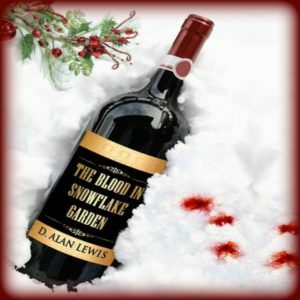 genre with the darkest elements of the paranormal. 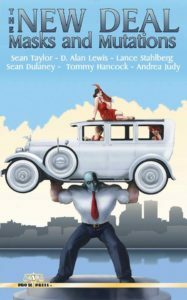 Set in 1950’s Nashville, Thomas Dietrich is cynical yet idealistic; amorous yet full of despair. He’s a man capable of harsh violence and unfettered compassion in a world where the darkest things walk the streets of his city at night. 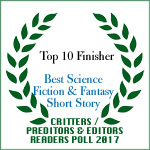 Two of my short stories, released in 2017, were entered into the annual Read’s Favorites Poll. A couple of years ago, a pair of my works won first place. This year, I didn’t win the top spot, but both stories did place in the Top Ten, in their respective categories. History NOW: Apollo 11 – Top Ten Finisher for Best Science Fiction Short Story. 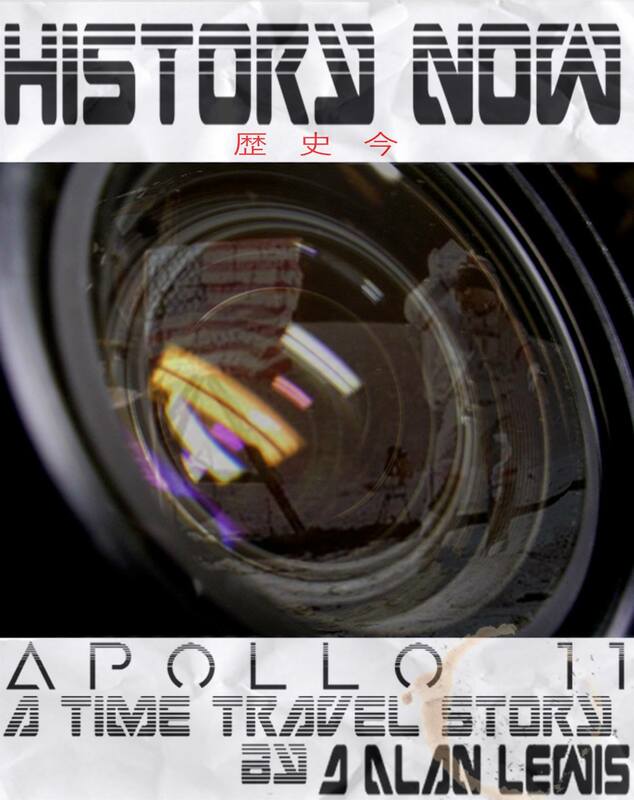 A blending of science fiction, time travel, and the reality television genre. Kaylana – Top Ten finisher for Best Horror Short Story. 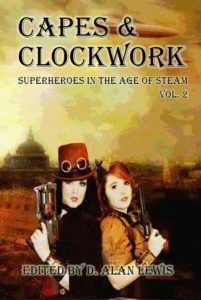 A fusion of horror and Steampunk as a young woman finds herself trapped in a mansion with a vampire. Desperate for escape, she finds every path blocked and the monster seems to foresee her every move. Can she survive until dawn or will she lose everything? Thank you to everyone who voted!!! Your support is greatly appreciated.